Save space and group related cards together. 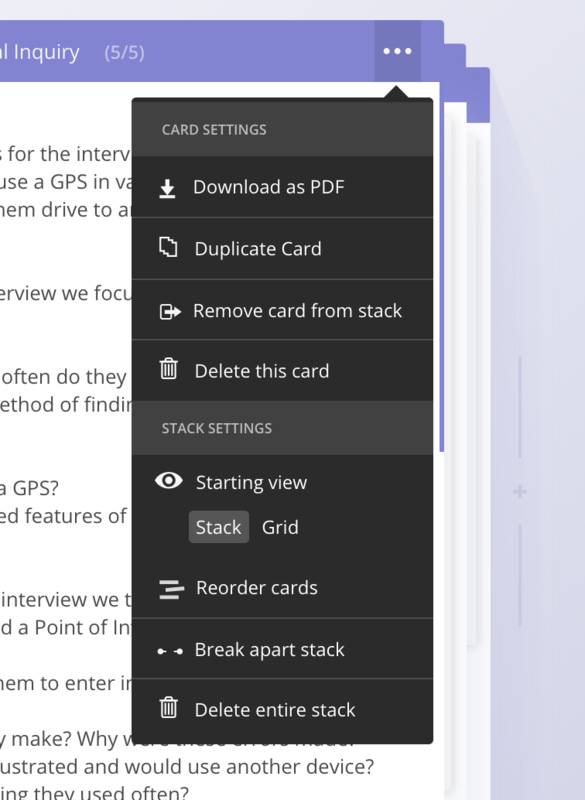 Card Stacks let you group related cards together, whether as a grid of cards, or as a pile. 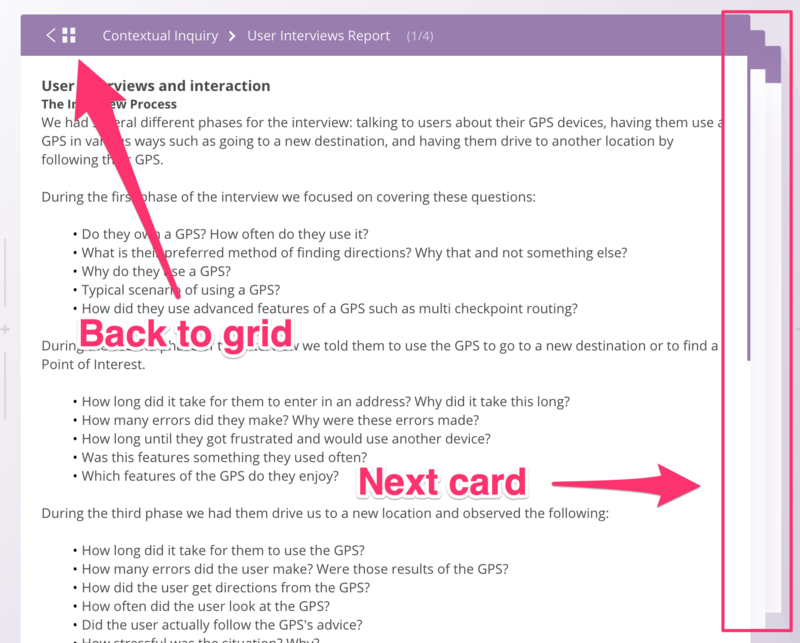 Supporting material: Let’s say you run a usability study — you have a final report, but you also have notes from each study. Those notes don’t need to clog up the project, so you can now create a stack with the final report on top, and the notes behind it. Show iterations: Let’s say you want to preserve old design iterations. To create a new iteration, you could sync your designs to a new Sketch Card, then place the older Sketch Card underneath the new card. Drag a card on top of another in order to create a stack. To zoom in on a card, just click on it. This will bring you to the Stack View. Once you're in Stack View, you can click on the grid icon in the top left to go back to Grid View. You can also click on the right side of the stack to view the next card.